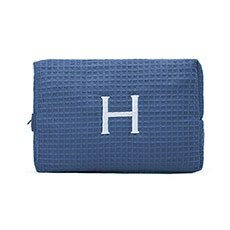 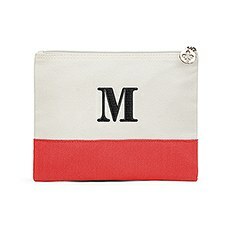 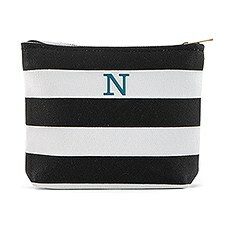 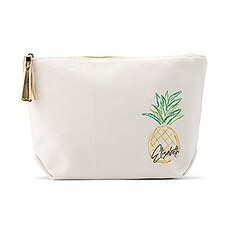 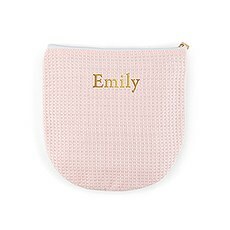 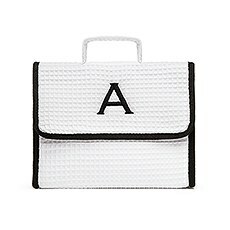 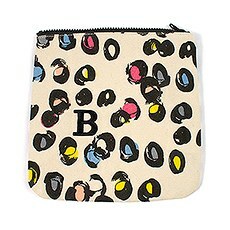 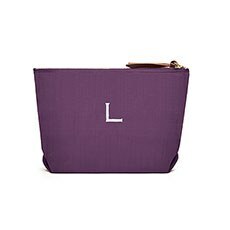 A handy personalised make-up or toiletry bag that makes packing essentials a breeze. 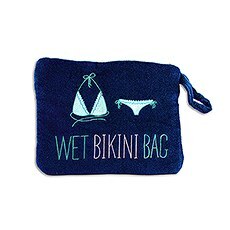 A unique personalised gift idea for any beach or poolside lover that’s brave to wear a bikini! 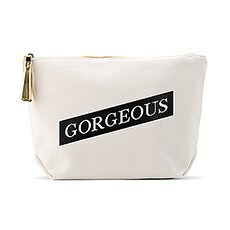 For all those odds and ends, nothing’s better than a convenient cosmetics bag. And when you order from Weddingstar, these bags get a personalised upgrade with a custom monogram or name added on. 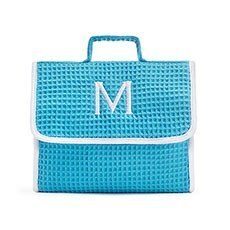 It’s a great gift for any special occasion, or even just to treat yourself to a fun little travel accessory. 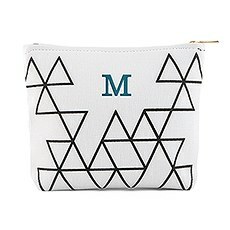 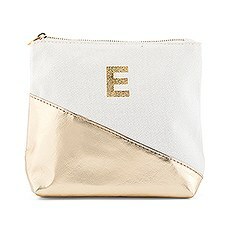 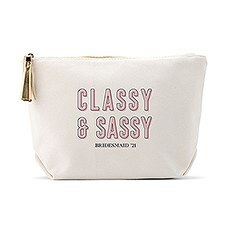 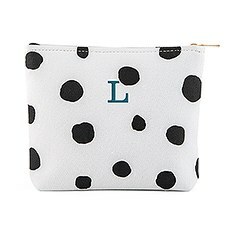 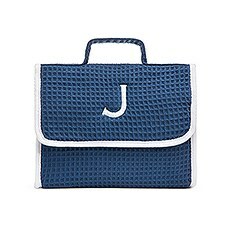 In addition to being stylish, these personalised makeup bags are fabulously functional. 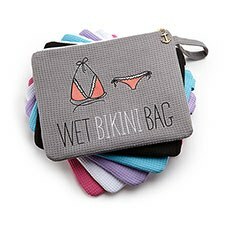 From cosmetics to toiletries to jewellery, you can stash just about any little item in these bags to make sure they don’t get lost in the shuffle inside your purse or luggage. 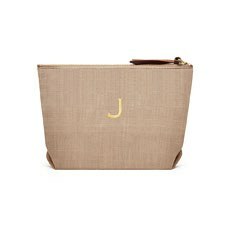 It’s an item you’ll use again and again, and one that your friends are certain to appreciate. 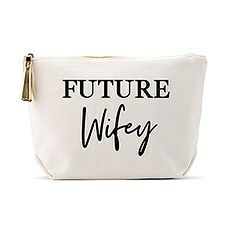 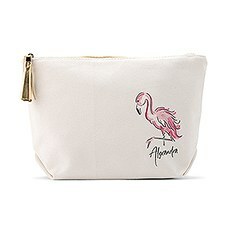 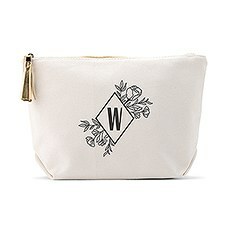 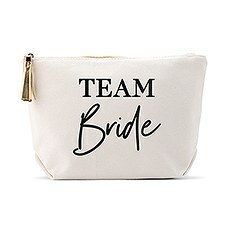 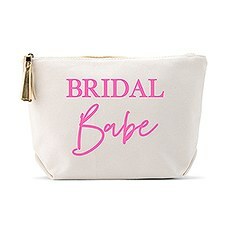 At Weddingstar, we offer a variety of cosmetic bag sizes and designs to make it easy to find one that suits your style. 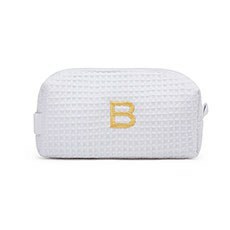 Our cotton waffle cosmetic bag is an instant classic with its super-soft material, water-resistant lining and assortment of colour options. 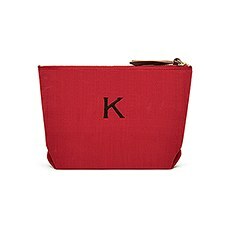 A single initial monogram adds a personalised touch while still retaining the timeless look. 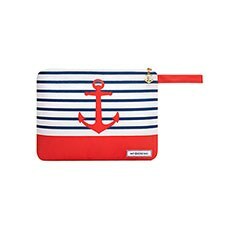 If you prefer something a little more modern, the colour-blocked cosmetic bag will be right up your alley. 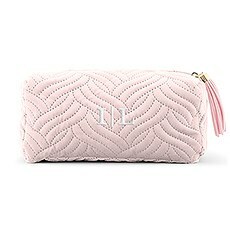 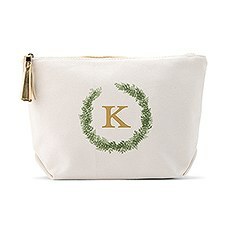 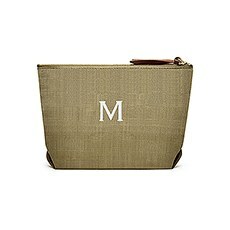 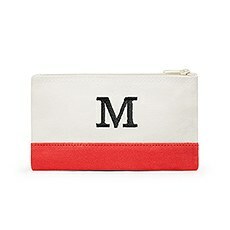 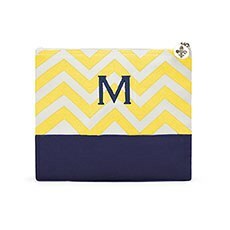 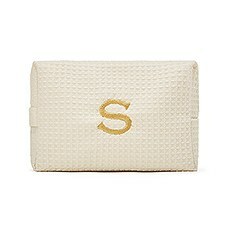 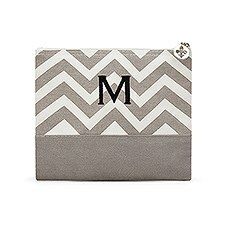 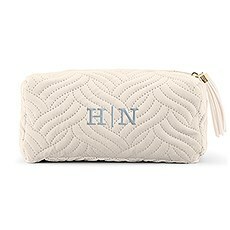 It also features high-quality materials, a chic style and an elegant monogram initial. 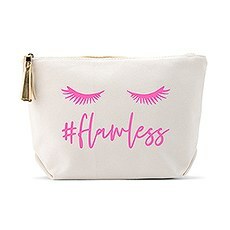 But who says these bags have to be limited to cosmetics? 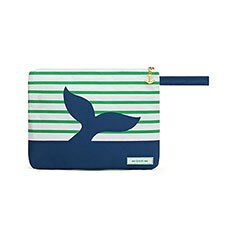 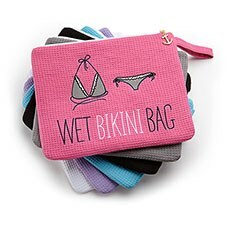 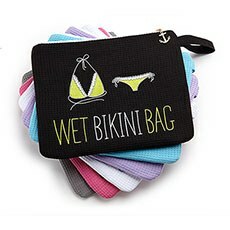 Our wet bikini bags are a fun twist on the classic makeup bag that’s both cute and convenient. 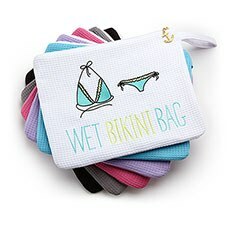 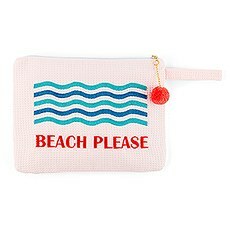 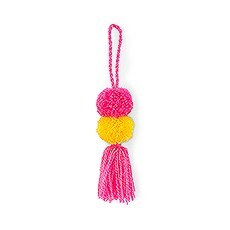 Available in a variety of designs and colours, these adorable bags are just the right size for stashing a damp swimsuit after a dip at the beach, pool or spa, and the terry velour material keeps other items in your bag from getting soggy. 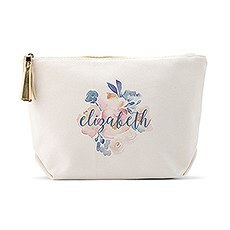 Surprise your best friends with a personalised cosmetics bag chosen specifically for their style. These makeup and accessories bags are an ideal gift for bridesmaids, bachelorette parties, birthdays, graduations and other special occasions.